Plenty of rain and plenty more humidity, if a little lighter on the heat than July. August in Hong Kong is when local residents get back from vacation, and Hong Kong events are plentiful. But be prepared for the humidity in Hong Kong during the month of August. It's oppressively hot and humid with regular monsoon downfalls. Typhoons in Hong Kong are occasionally seen in August, bringing high winds and plenty of rain. An umbrella can be used both for the frequent downpours, but also as a parasol to deflect the intense sun, a source of protection pioneered by the locals. And despite the heat outside, it's a good idea to have a light sweater in your bag or backpack, as everywhere in Hong Kong is air conditioned, often to frigid extremes. When outside, however, light cotton shirts will be most comfortable in the soup-like humidity. Be sure to take plenty of liquids to battle against dehydration. If you'll be outside in Hong Kong in August for more than 20 minutes, consider sun lotion is a good idea, and you'll probably want to wear a hat or cap. It can't be overstated how unrelenting the Hong Kong sun is during the summer months. If traveling to the countryside, bring mosquito repellent. The climate is tropical and the bugs are plentiful. In August, ocean temperatures are generally at their warmest, and on average is very pleasant. August is the ideal time to visit Hong Kong's beaches. Silvermine Beach and Lo So Shing are two popular options in or near the city. A short trek outside the city to one of Hong Kong's many islands provides even more beach options and greater privacy. August is a great time to see and hear live music in Hong Kong, as a number of international superstars play here annually. Concerts and festivals can get crowded quickly, and if held outdoors, prepare for the humidity and heat (as recommended above). If you want to visit Hong Kong when it's relatively empty and there are few other tourists, July is probably the month for you. But in August, most Hong Kong residents and expats begin returning to the city after their summer holidays. 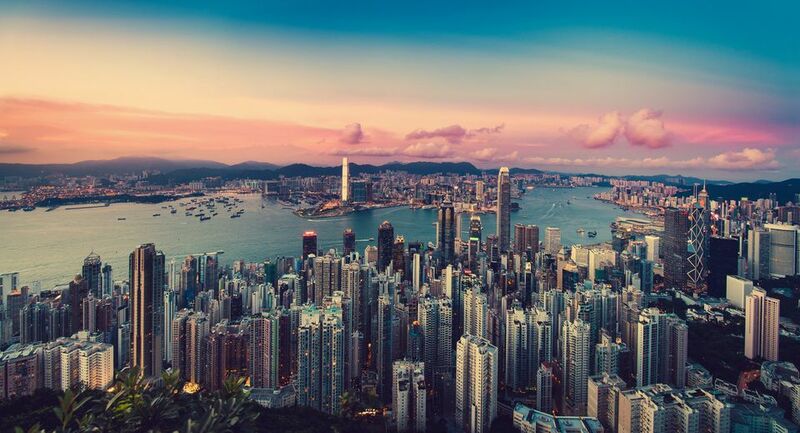 You'll get the most authentic Hong Kong experience, as the city gets its distinctive Hong Kong buzz back. Hong Kong's version of Halloween, the Hungry Ghost Festival, happens in August. Tradition has it that during the seventh moon of the year, restless spirits and ghosts return to Earth, and some of them are not happy. Family members burn fake money and other paper offerings in order to appease the spirits and make the afterlife more comfortable for them.